I like using a gentle cleanser in the morning - either a gel formula or gentle foaming cleanser is good! Something to wash off my sleeping mask from the night before! 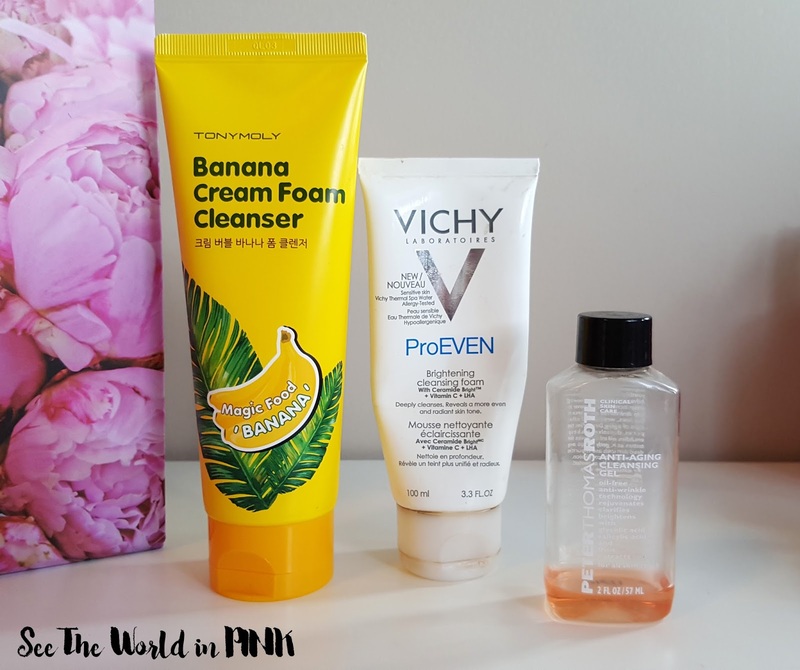 The Tony Moly Banana and Vichy ProEven are great gentle foaming cleansers and the Peter Roth Cleansing Gel is my favorite! The toner/refresher step is important - it restores your skin's ph levels. It is important to look for a toner that does not have alcohol in it so it is gentle on your skin! Don't rub toner in to the skin - make sure you pat it in to the skin! 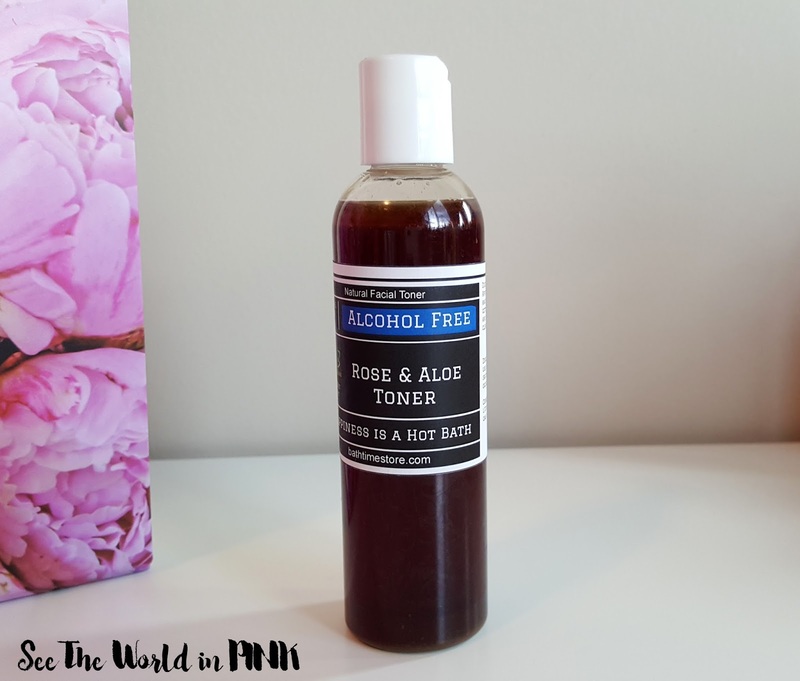 The Bath Time Box Rose and Aloe Toner is my favorite! 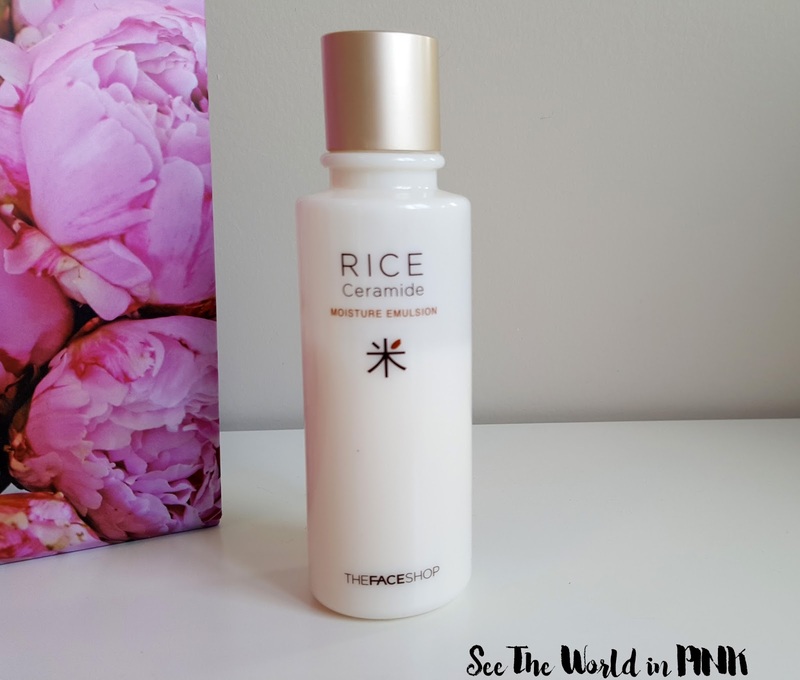 I love using face mists - personally, I think that this is an overlooked step in the skincare routine! This step preps the skin to help absorb the serums and add moisture to the skin! Just spray a couple mists on to the skin and allow time to absorb. I prefer thin, fine mists in the morning and thicker, heavier mists in the evening! 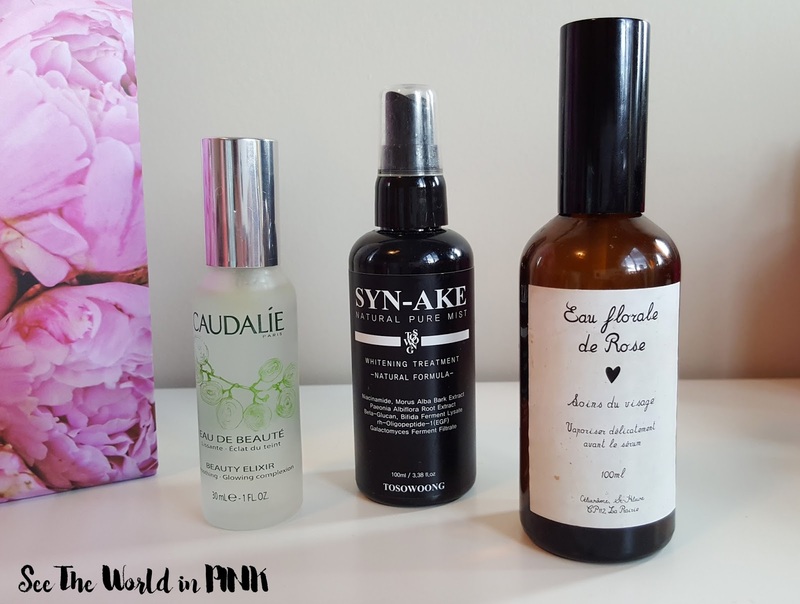 Right now in the morning, I'm using Caudalie Beauty Elixer, Tosowoong Syn-ake Mist, and Les Soins de Jacynthe Bulgarian Rose Floral Water! I prefer to use thicker, creamier (less oily) serums or boosters as my morning routine - the oily ones take longer to absorb in to my skin so I need something quicker absorbing in the morning! This step is for delivering concentrated formulas in to the skin! For my morning serum, I generally use something for moisturizing and smoothing - you can choose a serum that works for your skin type! 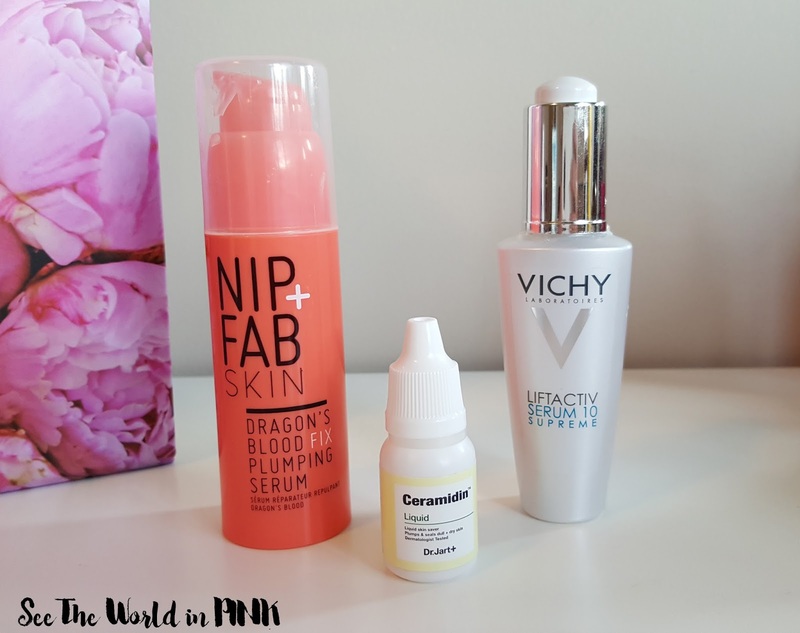 Right now I'm using the Nip + Fab Dragon's Blood Plumping Serum, the Dr. Jart Ceramidin and the Vichy Liftactiv Serum 10 Supreme. I also really love the Dermalogica Hydrating Booster in the morning! Because I use an Emulsion before my moisturizer, I like to use a light weight moisturizer for my day routine. I save the thicker moisturizers for my nighttime routine! This step is straightforward, for added moisture to the skin! 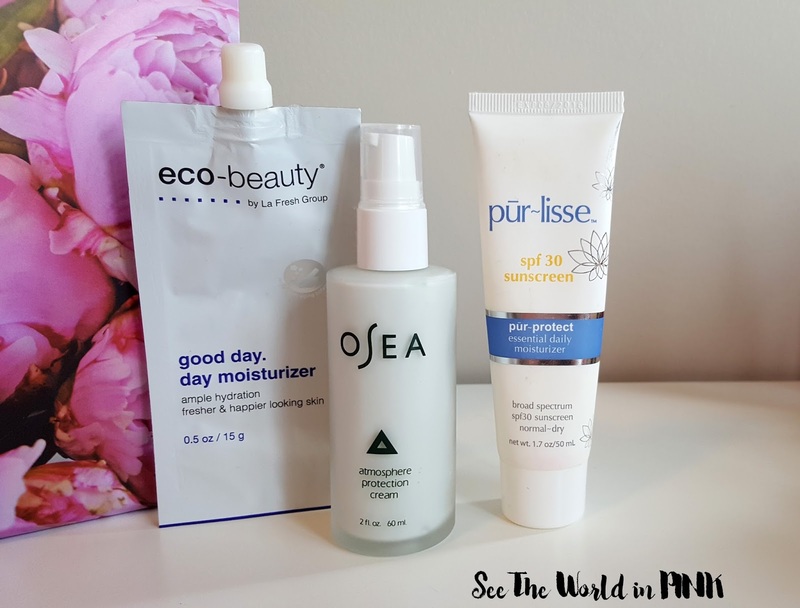 For the morning, I'm currently loving the Eco-beauty Good Day Day Moisturizer, the OSEA Atmosphere Protection Cream and if I'm in a rush, I will use the Purlisse Pur-Protect with SPF. 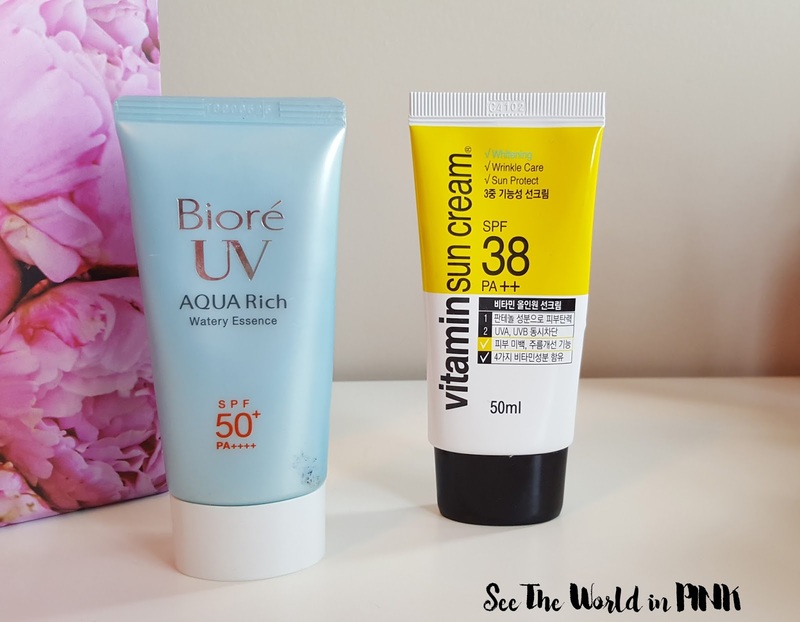 My ultimate favorite sunscreen is the Biore UV Aqua Rich Watery Essence SPF 50PA++++ - this is amazing on the skin and it very light and gentle! If you haven't found a face sunscreen you love, you need to get this off of Amazon right away! 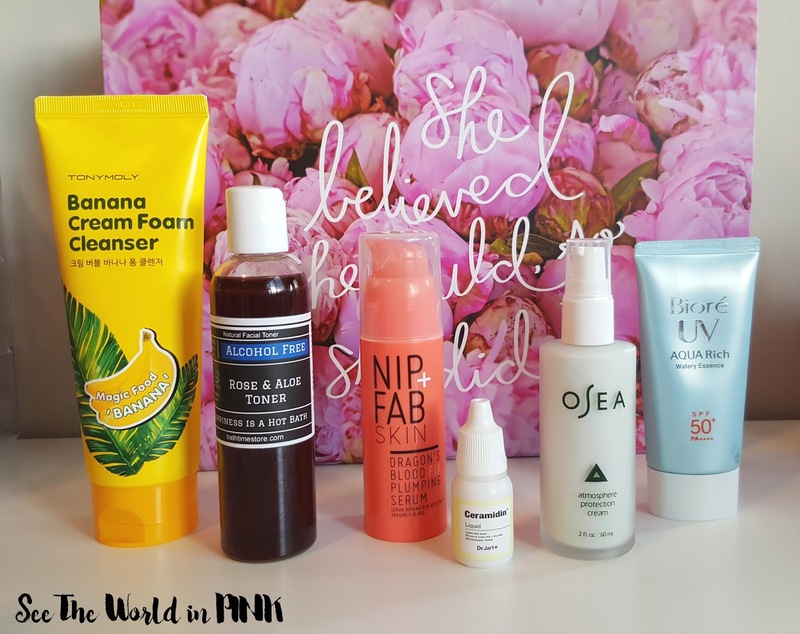 So, my Morning/Daytime Skincare Routine has quite a few less steps then my Nighttime Routine, but targets all my skincare needs! Thanks Courtney - you should post one!